I submitted myself for a routine medical exam last Wednesday. Blood tests, x-rays, physical, eye and dental exams were done. I knew I was completely healthy, except that I was worried about my x-rays – that they might see something there because I have been having on and off cough and colds, due to weather changes. I also did not get my annual dose of flu vaccine last year. I got the results today (after two days), and surprisingly, they found something else, instead of abnormal x-ray findings. They found that my serum SGPT is elevated. How much, that I have to clear tomorrow to the doctor. I was informed on the phone that I have to see the doctor so she can prescribe something for this problem. As a medical professional, I know I should not get worried about it because I know it is something that can be treated. But to be honest, I got really worried. First, something is wrong with my body. Second, I might be rejected from the job I am applying. Serum Glutamic Pyruvic Transaminase (SGPT also known as Alanine Aminotransferase or ALT) is an enzyme that is normally found in the liver, but not exclusively. It is released into the blood during liver damage, so it is more or less a very good indicator of liver status. The first thing that comes into my mind when SGPT is elevated is Hepatitis, especially viral. But then my blood tests included hepatitis screening, and I scored negative there. So I erase hepatitis from the list of possible culprits. One cause of liver damage is alcoholism. But then I really don’t drink a lot. The last time I had alcohol was about middle of last month when my barkada fetched me from the airport, after my trip in Bacolod and Iloilo. We headed straight to a bar in Bulacan with some other friends before I went home. And I only had about three to four bottles of Lights. So I don’t think that I am that alcoholic for my SGPT to go up. There are two possible causes of elevated SGPT which I believe could be related in my case. One is obesity, which can cause a fatty liver. The other one is chronic medication use. I don’t think that I am that obese to make my SGPT shoot up, but I think I have been eating a lot of fatty foods lately which could have caused my liver to become fatty. A 24-hour recall of my dietary intake would really suggest a very poor dietary intake. Last night, I had fried chicken for dinner. I had longganisa with fried rice for breakfast this morning. And I had pork barbeque with java rice for lunch a while ago. It is just now I am realizing that I have been eating the wrong stuff! Add to that, I have stopped going to the gym since late last year. A combination of lack of exercise and poor food choices could lead to a fatty liver. Another factor that could have caused my elevated SGPT is my chronic medication use for the last few months due to on and off cough and colds. I initially treated myself with a self medication of antibiotics. When that did not work, I went to The Medical City for consultation. I was then subjected for two rounds of antibiotics, plus other cough medications. I have stopped taking those medications though, as I am only having my usual multivitamins and a supplemental dose of vitamin C.
Well, I can only wonder what really caused my present problem, till I see the doctor tomorrow. But starting this very moment, I think I should look after my health in a different perspective. 17 May 08 – I got to speak to the doctor. She also suspects fatty liver. She suggested for me to take Essentiale three times a day, and a low fat diet. I will repeat the blood test in a week. Good luck to me! Hi AINOS, a low-fat diet should help reducing the SGPT. Your friend should check out with his doctor whether the medications he is taking for his condition affects the liver and whether he needs a liver supplement for that. Unfortunately, I am not in a position to recommend any medications because I am not a doctor. Thanks for dropping some lines! Hi RESIDDH, It is difficult to predict how fast your SGPT will go down, given that you are exercising and taking liver supplements. It varies from person-to-person, and many factors. But to give you an idea, I know somebody whose SGPT was 100, and was able to reduce it to within normal limits in just ONE WEEK. During the week prior to retesting, he had a daily liver supplement, had a vegetarian diet, refrained from drinking, and had moderate amount of exercise. hi sir i have a concern my sgpt is 74 my shot is 20 one day before my medical im taking medicine one tablet per day for my allergy, but i didnot tell my doctor at that time. then she tell me to take silymarin 300mg 3x a day, i started to take and make some diet after 5days i do a bloodtest may sgpt elevate to 120. i think my sgpt is normal its elevate only because of the medicine right? and why my sgpt elevate when i take the silymarin? thanks for the answer. My father is 62. LFT test detects he has SGPT 120, SGOT 64 And Alkaline Phosphatase 460. He has no addiction. Is it a big worried? What should I do now. Hi MANAS, at 62, your father might be taking medications to maintain his health (eg for BP or cholesterol) that would elevate SGPT. This could mean a certain degree of liver damage and his doctor should be consulted about this. Low-fat diet should help also. Hi I have an elevated SGPT level of 140. A friend of mine suggested glutathione injections, and my sgpt will drop like a rock. How true is this? Any ideas? Hi JOHN, I haven’t heard of anybody using Glutathione to reduce SGPT, and I wouldn’t also encourage you to take it unless a real doctor prescribes that to you. Hi JOHN! It’s my first time to hear that. I’ll research on that. Thanks! hi. .Nagpamedical po ako last week and na found out na elevated ang SGPT ko. . 69 po xa. . above average. . .then I undergone liver ultrasound, pro all is well nman. . .normal nman. . pro Ive been taking contaceptive pills for a almost a year pro nastop ko na xa. . .2-3 months ago na. . .napaconsult ako sa doctor, then he prescribed me URSOFALK 250 mg twice a day. . .then balak ko po magbloodtest ulit after a week. . eeffect n po ba yung gamot? Pwede pong bumaba na ang SGPT ko nyan? thanks po. . . Wait ko po anwer nyo. .
Hi KYX, You are on the right track! Live supplements plus stopping the chronic intake of certain medications should lower down your SGPT. Avoid high fat diet also. And yeah, you can see some improvement with the levels within a week. Good luck! Hi MAC MAC, yeah pede ang Godex. May mga gumamit na nyan and effective naman din, according to some of our readers. Basta iwas muna sa alak at matatabang pagkain. Good luck! hi.. i have hight sgpt,, 80.4 to be exact.. im taking legalon 140,, does walking (5km)/day,, diet but i somtime smoke 1-2 stick/day.. is legalon effective in lowering sgpt? does smoking a 1-2 sticks affects my sgpt? thnx..
hi again.. this a follow up about my query.. u mentioned godex.. is it reli effective in lowering my sgpt? is godex capsule or in liquid for.. how can i take it? oral? 3x a day? coz i reli need to lower my sgpt in one week time coz it is required for my visa processing.. pls repy.. htnx..
Hi POTOY, Legalon and Godex are liver supplements which are effective in lowering SGPT. Godex comes in capsules which can be taken 1-2 caps 3x a day (but it is your doctor who would decide how often you need to take it, so consult first before taking). Walking as an exercise would help a lot too. Smoking would have direct effect on lungs, not on liver, but I would also suggest you to try controlling your smoking until you get your SGPTs back to normal, so you could have your visa the soonest possible time. Good luck, Potoy! hello,i’ve been tesitng my sgpt level for 3 months. and it’s only flactuating from 106-94-101-109-177-110-101-99-109-134 u/l. I’m on strict veggie diet, oatmeal everyday, no meat, no oil, no fats. I jog 2 hours a day. No other medication. No alcohol. I dont smoke.For 2 months I tried Essentiale 3x/day, then Ursofalk 2x/day, then Steinbach Sylimarine 3x/day w/ Vit. E non of the worked. I had a ultrasound and the result is normal. What do you think is the problem? Thank you for time. God Bless. thanks for the informative discussions. I am also suffering fatty liver problem. Hi PAUL, your interventions to lower down your SGPT are on the right track, but then your level is still high. Hmmm… I would recommend a CT scan or MRI to find out if there are underlying reasons for this,which were not seen on the ultrasound. Hi MARIO, I hope you get your levels within normal and I hope that you learned something from the discussions. thnx digitalcatharsis for the info.. anyhow aside from taking legalon i take cifrofloxacin 500mg 3x a day because i got UTI lately.. does cifrofloxacin affects my sgpt? does it make my sgpt elevate? thnx.. I freaked at yesterday after looking at my labs that were done in Febuary. I remember taking all these different test and Doctor confirming that none of my test were out of range (Kidney, Pancrease, Liver, and CBC). But after looking at my test I see ALT level of 56 range is 9-60 U/L. I am a male 28 years old, 6’0 5’11 with no symptoms. Although I do not work out and eat whatever I want. Why do some labs have ALT range of >30 sometimes >40? So I assume my level of 56 is high, right? Sir, I would like to ask why my father’s sgpt still high since he is taking avandia which was prescribed to him. what is the best thing he could do to lower his sgpt. Thank you, hope you could reply thru my email. Is anybody can confirm that having MVP (Mitral Valve Prolapse) may lead to elavated SGPT? Hi POTOY, Ciprofloxacin does cause SGPT to rise, according to one of the studies. Hi MARK, your level is not that high but you should watch out that it may further increase. Better check what you are eating, and avoid alcohol. Normal values are most of the time slightly different for each institution due to patient population and demographics. Even textbooks may give slightly varying values. Hi LEA, Avandia is an oral hypoglycemic drug, and patients who have liver disease should be checked by the doctor before taking it because it may cause a rise in SGPT/ALT. Your father’s endocrinologist should consider other diabetic drugs if avandia is causing a rise in SGPT levels, cause that could mean it’s hurting the liver. Hi FRANK, I can’t directly associate Mitral Valve Prolapse with elevated SGPTs but certain cardiovascular drugs do cause a rise in SGPT levels. SORRY FOR THE LATE REPLIES AS I HAVE BEEN DOING A LOT OF THINGS LATELY. ANYHOW, LET ME AGAIN REMIND EVERYONE PARTICIPATING IN THE THREAD THAT THE ANSWERS HERE ARE NOT INTENDED AS AND DO NOT SUBSTITUTE FOR MEDICAL ADVICE. THE INFORMATION PRESENTED IS FOR PATIENT EDUCATION ONLY. PLEASE SEE YOUR PERSONAL PHYSICIAN FOR FURTHER EVALUATION OF YOUR INDIVIDUAL CASE. Hi Macoy, hindi naman common ang back pain sa fatty liver so u might consider having an xray. I hope you have started your treatment regarding your SGPT. I had my ALT and AST tested on 02 Feb 2010 and it shows 46 U/L and 17 U/L respectively. Then I had it tested again on 26 July 2010 (few days after the World Cup) and it had elevated to 103 U/L (for ALT) and 144 U/L (for AST). So in this case, is it a significant elevation and is it conclusive that there is some liver damage? 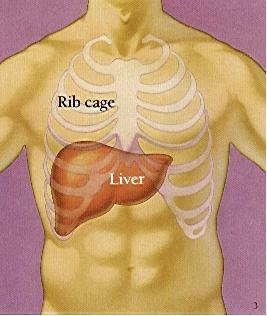 Does liver damage occurs in such a short period (between Feb and July)? Or does deprivation of sleep causes the enzymes level to increase? Due to the time difference of South Africa and Asia, I had been waking up almost every night for the World Cup football matches before going to work. Can I know what is the possible cause for the rise of the levels in your opinion? Btw, I am not a smoker/drinker and will have my daily dose of supplements consisting of multivitamins, krill oil, Q10 etc. I had started to take Jetepar and will have my blood tested in 3 months again. Hope everything is fine. At this point i decided to visit another specialist to have a second opinion, who ordered additional tests (SGPT, GGT, ANA, LKM -Ab, AMA & ASMA) and gave me a couple of meds to have and asked me for a strict food diet for the remainder of the month. I do not suffer any symptoms, i work for around 14 hours per day. And i’m very uncomfortable with these results. Hi SASSY, elevated direct bilirubin can be caused by a number of factors (eg hemolysis, viral hepatitis, liver cirrhosis, bile duct obstruction by gall stones). If your doctor tells you that there’s not much to worry about, then concern yourself with having enough exercise, low-fat diet, avoiding alcohol. Have yourself tested again after some weeks. If the level goes further up, then bug your doctor again! Is it a significant elevation and is it conclusive that there is some liver damage? It is a significant elevation, and we can say that there is some liver damage. Does liver damage occurs in such a short period (between Feb and July)? Yes it does. Can I know what is the possible cause for the rise of the levels in your opinion? Hmmm you are not a drinker, so we’ll put an “x” on that. High fat diet? Chronic use of medications? I hope your levels get better after retesting. Jetepar is a good choice for liver supplements. Hi MOATAZ, Thanks for the detailed information and I can see why these results are getting on your nerves – they were up and down, but never within normal limits. Since you are negative for the hep viruses, I also think it’s a fatty liver and liver supplements would significantly help a lot. Add a low-fat diet, no alcohol and some exercise. Good luck! On the other hand, Carbocisteine is a cough medicine that “thins out” mucous so that the lung can easily expel it out of the body. Side effects are mostly to the gastro intestinal area, not on the liver. Hello, thanks for the reply. Anyway heto po ang result nang blood test ko asided from normal ultrasound result. But last November 2009, I had my ultrasound and the result was fatty liver. After taking essentiale forte for six (6) months, I had my ultrasound last July 2010 and the result was already normal. But my direct bilirubin is still high since 2009 which ranges from 1.9, 1.8, 1.5 then back to 1.8 in my latest blood test. But the doctor told me that it is benign and advise me to take ursofalk. Is it true that there is no wrong with me? Please enlighten me….My doctor before is an internal medicine and she referred me to a gastroentologist and they have the same findings. Is there a syndrome for high direct bilirubin? Anyway, I had alreay tested for hep a,b and c, but all are negative. Is ursofalk can help my situation? I only found your site recently when my mom told me she has an elevated SGPT — thank you for your post. My mom is 63 and never had problems with SGPT until last month. I suspect that it’s because of the prolonged use of Prednisone which was prescribed to her to address platelet count issues. Also, she used to take Rimactazid but has stopped for a month now. She’s on a really healthy diet so I don’t see her eating habits to be the culprit. By the way, she’s been taking Godex for almost 3 weeks but the SGPT still keeps going up. I hope to hear your thoughts on this. Really admire your attention and kindness to posters here. Hi SASSY, Ursofalk is used in the treatment of chronic liver disease in which the flow of bile has stopped for some reason (eg. primary biliary cirrhosis, primary sclerosing cholangitis and cystic fibrosis-related cholestasis) – virtualmedicalcentre.com. This drug could help your bilirubin levels problem so I suggest to have a go with it. I would believe that your doctors have made thorough tests on you, and if they tell you that there’s not much to worry about – then relax! Don’t dwell on the numbers. Take the prescribed treatments, retest later on again and make sure you enjoy your life. Hi IAWT, prolonged use of medications can increase SGPT levels, and stopping them, lowering the dose or getting alternative medications can be the answer. But of course, these steps depend only to the prescribing doctor. His decision will surely depend on present lab values and risks of changing the medication regimen. I did not try Godex myself, but I have heard a lot of people using this and is effective in lowering elevated SGPT levels. Hi!digitalcatharsis! Its still me…Thanks for entertaining my questions and worries…You really help encourage me to enjoy life. But my concerns are my lightheadedness/dizzines, chest pain/sometimes difficult to breath and weakness..Are these signs of high bilirubin? The doctor test me with ECG and she told me that I have no heart problem and told me that it is because of my high bilirubin. But why I have chest pain and feel dizzy at all times? That I could no longer attend my office works..What shall I do? hi digitalcatharsis! i 4got i also drink sterilize milk is it correct to drink that or a pineapple juice is the right one for liver? Thanks for responding, DC. I heard, too, that Godex is effective. My mom will be seeing a specialist on Monday — I’ll be sharing any helpful information we’ll get from the doctor. Hi SASSY, high bilirubin can be caused by a number of factors including hemolytic anemias, which can then cause for you to become easily fatigued and dizzy. You need to be tested for this to be confirmed and I am not sure whether your doctor has rued that out. In any case, if you are not satisfied with your doctors’ diagnosis, you can always get another professional opinion. I wish you all the best, Sassy. Hi CHAD, Legalon is doing good, and it is better that you are having exercise and the right food with the treatment. If you need to lower down your SGPT quickly, consult your doctor on whether you can increase the dose (eg, 3x a day) or changing it to something else that can be taken 3x a day like Essentiale caps. Sterilized milk vs pineapple juice? both are good! But on the personal side, I’d take pineapple juice. Hi IAWT, I wish your mom gets well quickly. We’d love to hear from you again later on. hi there again! Ive already got my sgpt result 51-58? what doset it mean? does my sgpt is ok now? does it have a good result?? hi, i was here 6 weeks ago about my sgpt problem w/c was fluctuating from 94-177 for 4 months. i took essentiale, ursofalk, silymarine, but all of them were not effective. so i consulted a gastro doctor. she recommended godex 2x/day with vit. e 400iu. be strict with my diet. food to avoid are rice, bread,pasta,pizza,milk,cheese,processed meats,processed drinks such as sodas, iced tea or any bottled drink, except water. foods to consume are fresh fruits and vegetables. also drink ginger tea, just make your own. and change the lifestyle. avoid stress, watch funny movies,listen to music, meditate, go to church. now my sgpt is within normal range. thank you for time. happy to share. hi! result po ng sgpt ko 100 un sgot 125.. sa monday po mgrerepeat na po ako ng sgpt.. kahapon pa lang po ko ngsimula ng water therapy, kmain ng gulay at uminom ng gamot.. in 5 days po kaya na ganon lang ng ganon un kainin at inumin ko magiging normal na po kya un sgpt ko pg nagrepeat ako???? Hi CHAD, you are doing good with Legalon, so you might as well continue with it. Though your level is still on the high side, I’m sure you’ll be able to lower it down further in no time. Just make sure you are continuing your diet and exercise plan. Hi PAUL, CONGRATULATIONS! Well done! I’m so happy to hear that your SGPT level is within normal now. And thank you for coming back here to share with us what you did to lower down your level. I’m sure the people who are dropping by here, and who have the same problem will have high hopes that their condition will be better, with the proper lifestyle modifications. I wish you a healthy life ahead! Hi ABNKKBSAKNPLA, Medyo maiksing panahon ang 5 days para mapababa to normal limits ang 100+ na SGPT and SGOT, pero I think kaya mo yun basta wag ka muna mag meat, puro gulay muna, then konting exercise. Don’t forget yung liver supplements na nireseta sa yo. Yung level ko noon was 80+ then napababa ko siya to normal limits within a week. Hindi naman gano nagkakalayo ung levels natin so I’m sure kayang-kaya mo yan. Good luck! im taking combizar and norvasc for my bp med. would this affect rise in sgpt? is salmon belly fattening? i remembered i was on salmon belly diet when my sgpt increased from 154-185-219. Hi TONY76, Certain anti hypertensive medications could cause liver problems so intake should be monitored by their physicians. I can’t tell whether Norvasc and Combizaar could be one of those drugs. Salmon belly fattening? I don’t think so. salmon belly is actually a good source of onega-3 fatty acids which could help reduce the risk of cardiac diseases. Hi IAWT, I am so glad you’re mom is better now! And I really appreciate this taking the time of you to share your experience with lowering down SGPT levels. I wish you and your family good health always. Hi BMTKICKZ, You need to consult your doctor regarding the dose that’s appropriate for you. As for me, I took it three times a day for a week, but that was under my doctor supervision. You should get physician advice for your own case’s dose. Hi ALLAN, You are on the right track. Exercise, diet and liver supplements will help reduce SGPT levels to within normal limits. I would predict that your SGPT level could go down within a week or two. As to luyang dilaw and turmeric tea, I am not sure of its efficacy. Good luck! thanks po! ok lang po ba na uminum ako ng legalon 140 1 wwek or 2 I take vitamin e zyme e gusto ko po kasi n nsa normal na po ang sgpt ko kasi nagbabalak po ksi ako magabroad at kelangan normal ang sgpt ksi ito lang ang problem ko ung ibng test ok nman po. ok lang po ba uminum ako uli ng legalon 140 twice a day for 1 week tpos see kung bababa cia to normal na kaya po kaya ito ng 1 week ksi ito din po ung gamot ko. ilang counts kya ang kayang maibaba for 1 week any idea sir I continue exercise every morning drink plenty of water eat vegies and fruits less fat. and last question sir liveraide po ba ay ok inumin suggest din 2 dati ng cardio ko nung nagpacheckup. also suggest me what can i do next to cure this? Hi ALLAN, hindi naman napakataas ng SGPT mo para hindi sya bumaba agad, esp since you are taking liver supplements at sinamahan mo pa ng diet and exercise. Hopefully bumaba sya to normal levels within a week. Yun level ko noon, mas mataas kaysa sa level mo pero bumaba naman to normal level within a week. Ok yung Legalon, but as to the dose, I cannot prescribe coz I’m not a doctor so your personal doctor should know better. Liveraid is also good pero don’t take too many kinds of liver supplements at the same time. Good luck! Hi MALIK, thanks for dropping by. Unfortunately, I’m not a doctor to actually give a second opinion about your diagnosis. But given your values, I would say that there is a certain extent of liver damage. Your bilirubin levels are on the high side also, and the cause should be checked. There is no medication to reduce increased bilirubin levels, and treatment is directed towards treating the underlying cause (which could be due to duct blockage or infection). Diet – low fat, no alcohol. Increase water intake and avoid liver-damaging drugs such as acetaminophen. thanks to this site, its been a week that I try to search sa internet regarding my elevated SGPT. i’m diabetic since the age of 32 and it runs to our family. Last May upon routine check-up all my labtest where within normal or high normal result. But the result of my SGPT which is 55 caught the attention of my endo, she then requested me to repeat it which last week I got my result and it goes up to 77. Based sa mga nagshare their result is more elevated than mine, but I worried more since Im a diabetic and also last week the result of my x-ray suggest that I am positive with PTB. The medicine that I am currently taking was metformin 1000mg, glimepiride 2mg, simbastatin 10mg, aspirin 80mg, meganerve 1000mg, losartan 50mg. Which of the above medicine do you think has caused my elevated SGPT or which of them do you think is harmful to my liver. Please enlighten me since I’ll be seeing my endo end of Sept pa.
Hi JANROY, I can readily say that ASPIRIN and SIMVASTATIN can cause liver damage so your intake of these medications should be monitored. I will still have to check on your other drugs though. Also, certain anti TB medications can cause liver damage that is why during the course of treatment, you should have regular lab checks. Good luck! Hi JANROY, with your current level of 77 and diabetic at the same time, you should not be alarmed. There are so many here who have very high level than yours and were able to reduce their levels to normal. It’s just that you are taking certain medications that you cannot just stop at once because you need them too. Check with your doctor if you need to take liver supplements along with your other tablets. Ingatz po. Thank you so much your a great help to all of us. At least now I can have peace of mind since it will be end of Sept pa ang appointment ko with my endo. Thanks. Sir are you a Filipino? Just asking…. Yup, pinoy na pinoy po. Glad to be of help. Hope you come back later on to give us some feedback. Have a good day. I was, and still am, hypertensive. Pre-diagnosed with Hypertension Stage 2. Now, doc discovered I have fatty liver. possibilities of cancer, malignancies, early death. helpful blog which is also proudly-Filipino owned! Here are my values, all taken at The Medical City. I hope you could help me. I was not able to visit my gastro because of my work sched. walking. I take care of my kids at daytime and stressed most of the times which is also due to lack of sleep. Do you think the values are “controlled” or should I URGENTLY need to see a doc? and Vitamins E (400 iu) and C (1,000 mg) in addition to the RX medicines above. Is it ok or should I obtain prescription first? Should I be worried on any of the above levels? Should I undergo HEPA screening (my health card won’t cover it though) or is there any other test/s you would advise? Any suggestion would be of great help. Pasensya na po sa mahabang explanation (nahiya pa ako sa lagay na ito). Maraming salamat po! I only take a sumapen due to my Rheumatic Heart Disease and now the doctor detect that my SGPT is higher and it is 91. What is the cause of my abnormal SGPT? After speaking with my Doctor, he did a retest and told me yesterday all my levels are acceptable apart from ALT (SGPT?) which is slightly high. He said 0-41 is normal but mine is 49. He is retesting in 5 days – the major trouble is if I dont get it down my flying career will not happen. During my final selection 10 days ago, I was taking Flaxseed Oil 1000mg, Cod Liver Oil 2000mg, A collagen glucosamine and chondroitin supplement, effervesent vit c, and a vitamin and mineral supplement called ‘ReCall’. I stopped the ReCall 9 days ago but continued with the rest, which i have now stopped taking. I hardly drink alcohol and havent since last week. I have now started a strict organic, low fat diet, (to be honest i had a great diet beforehand) and drinking warm lemon water, etc. I know my level isnt particularly high compared to some unfortunate people here, but my flying career will be over if i cant get it to read normal within the next 5 days – i have been studying for a year for this and to lose it over something like this will be unbearable. Although your SGPT has gone down from 120.7 to 101.9, it does not look controlled as yet. You need to consult with your doctor to check what’s causing the rise in SGPT. No, it’s not okay to start liver supplements without consulting your doctor, especially since you are on certain medications that might counteract with liver supps. Should I be worried on any of the above levels? No. Worrying would only increase your blood pressure 🙂 SGPT is elevated but can be treated. SGOT is still within normal range. Should I undergo HEPA screening (my health card won’t cover it though)? or is there any other test/s you would advise? Hmmm, I would just advise retesting again for liver function tests later on, that is after taking necessary measures to correct your liver profile. Take liver supplements once prescribed, eat low fat and less meat, exercise and get enough rest too. BTW, I visited your site, ZENPINOY and I found it very informative. Hi BETH VILLAS. 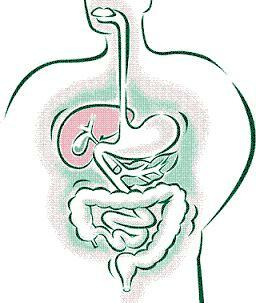 Certain antibiotics could cause liver damage, but I can not readily answer whether SUMAPEN belongs to them. SUMAPEN is an antibiotic containing Penicillin. But also check yourself to find out what’s causing your SGPT rise. Are you eating fatty foods, mostly meaty meals? Are you drinking alcohol quite often? Are you taking other medications aside from Sumapen? Do you get enough exercise? Consult with your doctor regarding starting on liver supplements. Lifestyle modification would be of great help too. Hi MR JONES. I would actually recommned taking liver supplements if you need to lower down your SGPT fast. I could see that your diet is already good and you know that you have to stop alcohol at this time of retesting. I dont see any problems with the other supplements that you are currently taking, but consider mentioning those to your doctor. My level before was 60 something and I took Essentiale caps 3x a day for 7 days and my SGPT was within normal on the 8th day. No meat, no alcohol before retesting day. Somebody from this thread also mentioned making an SGPT level of 458 to go down to 27 within 2 weeks using Legalon 140.But I strongly suggest that you get prescription for liver supplements. I wish you the best in your flying career. I really appreciate your response. I’ll take your advise and go see my doc in a few days time. I was actually taking Essentiale for 2 days now (1 forte 3X a day) and I could say there’s really an improvement; added Vitamins E (400iu)& C (1000mg).My stomach becomes smaller and I felt better. Just to make sure, I am going to have another SGPT SGOT test next week and whatever the result, I’ll make it sure to have an appointment with my gastro. I initially visited our company doc for him to see my lab results and he also advised me to visit a gastro but he said “most probably he’ll just let you go on with your current medication scheme” then prescribed me Liveraid (3x a day also). I opted for Essentiale so that’s what I bought. Have I gone Essentiale-crazy? I’ll let you know once there’s an improvement on my case so other readers can benefit as well. Hi ARCHIE ZAMORA, thanks for coming back. I’ll wait for your retesting results and I wish you all the best on your quest for a healthier liver. sir ask ko lang ung sgpt po ba n 60 ay kayang mapababa sa normal range without liver supplements diet exercise vegies and fuits lang one month. nireseta skin ng doctor ko is legalon 140 twice a day pero ayoko magtake na ng supplements sa icip ko nman bka makuha sa diet exercise lang kaya po kya? my doctor prescribed me silymarin along with vit B n some more dietary supplements.I followed all dietary advices from my doctor and after 2 months bilirubin came down to 0.8 n sgpt to 296.so my doctor stopped my prescription n advised me to eat low fat diet. i exercise daily and have healthy life style(no alcohal,no smoking).but my recent test still shows elevated levels of sgpt at 136.Now I am really worried about it.I have taken isotretinoin, a potent acne drug along with other anitbiotics for abt 16 months in the past.but now i have discntinued taking acne prescription from last 6-7 months. DC, you’re right in saying that anti-TB drugs can cause liver damage (or elevated SGPT) — that’s the usual reminder of my mom’s pulmonologist. I guess the liver is too sensitive so we have to be careful about self medicating or skipping a visit to a health professional. Hi NILBY, mukhang mahaba naman ang time frame mo so wala naman akong nakikitang reason para hindi bumaba ang SGPT level mo with diet, and exercise, lalo’t hindi naman napakataas ng level mo. Pero mas mabilis talaga kung sasamahan mo pa ng liver supplements. Hi DIV, It is difficult to determine whether your elevated SGPT is because of your viral hepatitis or prolonged use of antibiotics. It can be both. Remember that your level was way high when you had viral hepatitis and it is not that easy to lower down your level. Your antibiotic use for several months could also have an impact to your liver. It would be helpful if you would stop your anti acne antibiotics or find an alternative. You are on the right track with diet, exercise and supplements so just continue that and your level will be within normal very soon. IAWT, Thanks for dropping by again. AntiTB drugs are medications that can cause liver damage, but people taking these drugs does not have much options because they really need these drugs for their TB to be cured. They just then have to go through regular liver function tests during the course of intake to make sure that the liver is still okay. And you are correct – we should never self-medicate! I have elevated SGPT (83) and SGOT (85. It has not come down from the past 2 months. I was consuming the Calcium tablets for Bones over a long time. I was also consuming Pain Killer Tablets for Bones whenever there was pain. Can anyone please help me regarding this as to how to bring down the SGPT and SGOT? Hi IMRAN, most pain killer tablets could cause a rise in SGPT/SGOT so I would recommend checking with your doctor to give you another painmedicine alternative. Also consider asking for a liver supplement. A low-fat diet and some exercise would help also. Check out the previous threads for more information. doc ngaun kasi sgpt ko is 61 na nagun dati yan 155 ung 61 ba pwedeng tumaas uli kapag di uminum ng liver med. iniinum ko lang ngaun ay zyme E-400 Mabilis ba ang elevate ng sgpt kahit na bumaba na cia kasi sabi ng doc ko ok lang daw ung sgpt basta di umabot ng 100 pero s ngaun diet lang ako fish veg. fruits no meat tlaga kahit oily foods. nireseta nya skin dati ay legalon 140 mg 2x a day. eh gusto ko bumaba n cia sa tlagang normal ok lang ba ako uminum ng legalon let say 2 weeks nkalagay naman kasi n legalon daw ay safe nman inumin at di nman nkaka overdose ksi liver protection nman tlaga cia. Hi MICHAEL, first of all, hindi po ako doc, nurse lang po 🙂 About naman sa queries mo, hindi naman nga masyado mataas yung level mo pero if you want to lower it further to normal limits, ok lang kahit hindi kn magsupplements basta maintain mo lang yung diet mo, no alcohol. Hopefully hindi na yun mag elevate. Ok rin naman na magliver supplements ka pa rin dahil ok lang naman itake yun with your level. Good luck po. My mother-in-law shared with us na yung co-worker nya eh diagnosed with CHRONIC HEPATITIS B at its late stage, jaundice, yellow eyes and dark urine are the symptoms. sobrang payat na, tagged as “buto’t balat nalang”. Yung ESSENTIALE lang daw ang ininom without prescription of his gastro for 15days with strict low carb diet and after taking another hepa confirmatory test everything is back to normal. My questions is, is it possible na this ESSENTIALE will be the BEST remedy for my husband’s case? Sa KSA kasi sya magwork, knowing how strict they are with regards to blood and xray results, it would not be possible for him to be deployed kung hindi maclear yung HbsAg nya and SGPT. Good thing, sobrang considerate ng company. He was given until December to clear everything. Please I need your answer on this. Make or break na ito. If my husband will not be able to clear everything, may record na sya na hepa carrier sa KSA and it would be a burden for him dahil hindi na sya makakapagapply kagad ng di pa nya naclear yung sa blood nya. FYI, my husband is a batangueno, puro alak whenever na magkakasama sila magpipinsan.. and take note QUATRO KANTOS pa ang iniinom. so naiisip ko eh ito ang posible na cause ng lahat ng to. Hi JONAH MERCADO, thanks for sharing your husband’s case. I think about a decade ago, there was really no treatment for hepatitis B except diet and rest. But now, there are some drugs in the market that hold promising results (eg Interferon Alpha, Pegylated Interferon, Lamivudine, Adepovir Dipivoxil, Entecavir, Telbivudine, Tenofovir), but they are usually taken from 6 months to one year. And let me say also that these drugs do not offer a complete cure, but only slows down the risk of liver damage from the hep B virus by slowing down or stopping the virus from reprodducing. You should be under a doctor supervision while taking these drugs. ESSENTIALE is just a liver supplement and is not listed as a cure for Hepatitis B so I cannot guarantee you that your husband will be cured by taking this medicine. It would help reduce liver damage though. I wish your husband a speedy recovery and good luck in his job application. Hi DAN, Here is a googled answer to be more precise and based on written facts. “The normal range of values for AST (SGOT) is from 5 to 40 units per liter of serum (the liquid part of the blood).The normal range of values for ALT (SGPT) is from 7 to 56 units per liter of serum. The ranges of AST and ALT numbers may differ slightly depending on the technique and protocols used by different laboratories. However, normal reference ranges are routinely provided by each laboratory and printed in the report. Hi CARLO ROMAN, maraming salamat sa pag iwan mo ng komento! Sana ay bumaba na nga ang SGPT mo at ng makaalis ka na, at matupad ang mga pangarap mo. Isasama kita sa mga dasal ko! sir ask ko lang kpag highblood ba tumataas din ba ang sgpt. kapag ang sgpt ba example ay napababa sa normal levels di nba siya basta basta tataas kung diet tlaga ang gagawin mbilis ba ang pagtaas ng sgpt? Hi MICHAEL, Not necessarily na hypertensive ka ay mataas na ang sgpt mo. Pero may mga antihypertensive drugs na pwedeng magpataas ng sgpt. pede pa rin sya tumaas, depende yan sa lifestyly mo. okay kung ma maintain mo yung diet mo and if you caould include some supplements. sir ung liveraide ba ok lang cia itake everyday for liver maintenance tama ba ako? My mom is sick just this week and the doctor said that her sgpt is elevated..and she has yellow skin and so weak.She’s taking medication to lower her sgpt but i think that’s the side effect of the drug.I’m not with her right now and i’m so worried.The lab results for her liver like hepa A,B,C was negative..thanks to God..but still she’s weak and like vomiting and lost her appetite.Is that dangerous? What hospital is the best one to identify the right medication for her? She’snot drinking liquors,not smoking.Her regular routine in eating is that she ate slowly and not that much..She has history of surgery like TABHSO.. How many months do you think for her to recover? Thank you and I hope you can answer my question. Hi MICHAEL, safe naman ang liveraid to take everyday for maintenance especially if you are worried because of some factors that could raise your SGPT. mononucleosis, chronic liver infection or inflammation, gallbladder inflammation, such as may caused by gallstones, gallbladder infection, congested blood flow through the liver due to heart failure. liver cancer or another cancer that has spread to the liver. Lowering the SGPT should start in identifying what’s causing it. Tertiary hospitals such as St. Luke’s or The Medical City (if you are in the Philippines) are one of the best hospitals to look after such cases. I wish your mom fast recovery. hopefully after ten days this would go down so i can pass my med exam and work abroad..
sir follow up, over the counter ba yung essentiale? im taking generic medicines is it ok? Hi STEPHEN, I’m also glad you dropped some notes for us! If you follow your drug regimen and diet, I’m sure you’ll get your levels back to normal. Essentiale can be bought over the counter, but I advise to take it under doctor supervision. Good luck to your med exam and work abroad! @digitalcatharsis I got a doctors prescription from the medical clinic, silymarin capsule+ bcomplex right now im drinking livergold which is a generic medicine, i will have my blood test again next Friday. Not eating fatty meats for 3 days now and i have been working out in the gym hopefully it will drop to normal. Your site really help me a lot to be aware. Thanks for your reply. God Bless You. « What can I give my Nanay?